Let’s face it: in 2017, search engine optimization (SEO) has changed. There’s no more keyword stuffing. No more spamming the search engines. Fretting over this word and that word is a colossal waste of time. This fact has led too many mortgage marketers to believe that there’s nothing they can do on the page itself to improve the returns they see from search engines. After all, watch what happens when you do the wrong things on the page. Too many keywords? You look like spam. Irrelevant headlines? Someone else with relevant headlines will gobble up your space. This article covers some key elements to on-page SEO. For a much more in-depth guide, check out: The Mortgage Marketing Manifesto, which includes an entire chapter (approximately 30 pages) of valuable information regarding mortgage SEO tips and myths. The keys to proper SEO lay with a number of factors, many of which are off the page. Even so, you can still optimize your site by looking at the actual content you’re publishing. To that end, let’s look at what you can do to tweak your on-page content to ensure it’s search engine friendly and ready to capture potential leads. 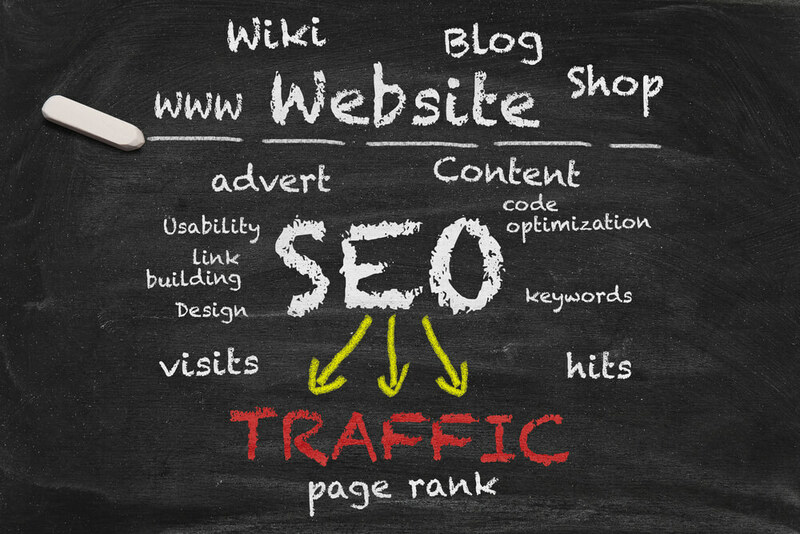 First you have to lay the foundation for all of your on-page SEO efforts. The world of search engines still relies on keywords to understand what’s going on with each page. After all, no human being alive could possibly capture everything that’s going on with every single website. They have to assign robots to scan elements—including keywords. But effective keywords aren’t all about robots, either. Effective keywords and keyphrases are those ones that your potential leads and potential clients are currently inputting on the web. In essence, keyword research is all about one thing: putting your website in front of the correct eyeballs. Lots of SEO experts have different keyword research strategies. Many online marketers will even pay for Google Adwords and similar services just to get information—that’s how seriously they take keyword research. The topic of keyword research is so vast that it could take up another article all by itself—perhaps a series of articles—and I can’t do it justice in this limited space. Not while there are other SEO elements on your site to address. But just keep in mind that keyword research is the foundation of everything you’ll use in most of these steps. It’s worth taking the time to mine those nuggets. A great keyword (and overall SEO) research tool is SEMRush. You can get a head start in your keyword research using SEMRush to uncover the keyword strategies your competitors are using, and much more. Think about it. You have title tags, keywords, and descriptions to write. Headlines. Sentences. Alt text. There’s plenty of real estate you can use to demonstrate who you are, what you do, and whom you serve. For starters, a generalized keyword or phrase is not going to get you noticed by the search engines—not enough to put you in the top 50 for that phrase, let alone the top 10. Secondly, you’ll have many more relevance reaching audiences who are specifically looking for someone like you. Specific services offered. Home loans, refinancing, mortgage rates, VA loans, FHA loans—these are more specific than the word “loan” or “mortgage.” Why wouldn’t you include them to actively demonstrate what your site is all about to the robots of Google and Bing? Unique content. Each page you make should be unique. If every single heading is “My Mortgage Company -> About” then you’re not really taking advantage of all the opportunities you have to get specific and address individual tag lines. Combinations. “VA loans” is a very generalized term, even though it’s more specific than “loans.” How can you combine it with other relevant keywords to get terms which your audience needs? Combine specificity to get even narrower. “VA loans Hartford Connecticut” is vastly more specific, simply by adding the keyphrase. This isn’t to say that you should stuff your on-page content with keywords necessarily. But you should be aware of putting these items on the page to get the specific attention you need from search engines. Combining local and specific keywords will help you reach the top listings on Google for more specific searches. But you’ll still get penalized if your site isn’t that valuable to people. In 2017, the search engines have gotten wise to content quality. And you need to have it if you’re going to attract the right kind of attention. That means you don’t want to simply write headlines that are so stuffed with keywords they are next to impossible to read. Instead, find creative ways to incorporate keywords without seeming so robotic. Incorporate keywords while adding value to the discussion. For example, a blog post that lists the services you offer? That’s a great way to incorporate some keywords. Meanwhile, the focus of the blog post may lie elsewhere, allowing you to give plenty of value and content to the person reading it. Let’s be clear: you are not going to reach the first page of Google for “mortgage loan” simply by including that keyword on your site. 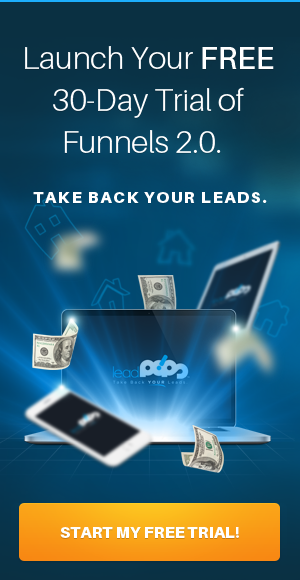 You’re competing with the most powerful mortgage loan sites on the internet for that spot. Sites with big marketing budgets and SEO experts have plenty of money to throw at drawing in business organically. But that doesn’t mean you have to exclude yourself and never try to optimize your on-site content. Manage your expectations by putting in the work required to find those potential clients who are searching for something a little more specific. It might not even sound all that effective. But the harder you work on your online presence, the more you’ll see results. You’ll see old blog posts start to gain traction in search engine results. You’ll see people finding your site through long-tail keywords you hadn’t even imagined when you put the content up in the first place. Keep adding, keep working, and keep at it. You’ll start to notice a trend: the valuable stuff you put online doesn’t just affect your online presence for one day. Every little tweak can build up on itself. Everything of value you add to the site itself boosts your presence and how effective you are. It won’t happen overnight. But if your lagging SEO suggests that you need better on-page content, then don’t be afraid to do exactly that. Improve. Tweak. Edit. Get a second opinion online. You’ll find there’s much more you can do on the page than you ever thought. 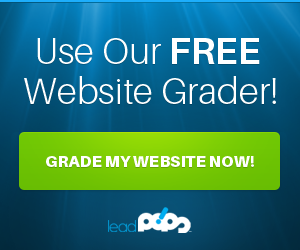 And don’t forget that a free trial of leadPops will get you closer to your goals—both on the page and off it.